Tsukahara Bokuden is a legendary swordsman who traveled throughout Japan and won many battles during his lifetime. I cannot believe there's no review for this drama.... I just drop a line! This is talking about the guy who has probably been the best swordsman of human history, Tsukahara Shinemon. The story is a bit choreographed and some clich&#233; can be found here and there. However the guy that plays the role of Shinemon is good and has a relaxing expression throughout all the drama. 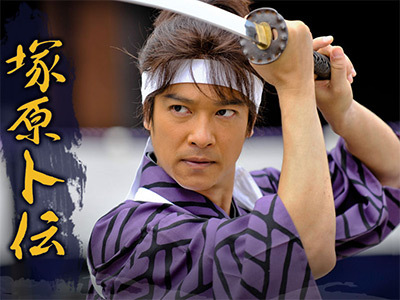 Therefore, if you are a swordsman and you want to see some nice duels (no stuntmen fights... duels) watch this drama and you will not regret. Well done period piece. NHK should have made this their Taiga drama and "Gou" only 7 episodes. Great drama about the brilliant swordsman. Really nice drama, definitely worth watching.